National Wildlife Federation. Health benefits. http://www.nwf.org/What-We-Do/Kids-and-Nature/Why-Get-Kids-Outside/Health-Benefits.aspx. Updated 2016. Accessed May 10, 2016. U.S. Department of Health and Human Services. Step it up! the Surgeon General’s call to action to promote walking and walkable communities. http://www.surgeongeneral.gov/library/calls/walking-and-walkable-communities/exec-summary.html. 2015. Accessed May 16, 2016. DC park Rx. http://www.parkrx.org/about-parkrx. Updated 2016. Accessed May 2, 2016. DC park Rx. http://www.dcparkrx.org/. Updated 2016. Accessed May 8, 2016. Sellers F. D.C. Doctor’s Rx: A stroll in the park instead of a trip to the pharmacy. The Washington Post. May 28, 2015.Available from: https://www.washingtonpost.com/national/health-science/why-one-dc-doctor-is-prescribing-walks-in-the-park-instead-of-pills/2015/05/28/03a54004-fb45-11e4-9ef4-1bb7ce3b3fb7_story.html. Accessed May 7, 2016. Creekmur P. Prince George's County Health Department: Health Report. http://www.princegeorgescountymd.gov/sites/Health/ContactUs/Publications/Documents/2014%20health%20report%20v4-08-14%20no%20blank%20pages.pdf. 2014. Accessed May 15, 2016. Health care providers looking for ways to address life style changes to reduce chronic disease burden are turning to the concept of “Park prescriptions.” Park Rx America is a non-profit organization whose mission focuses on decreasing the burden of chronic disease and fostering environmental stewardship through prescribing time outdoors as part of routine medical care. Park Rx America works closely with healthcare providers and governmental parks and recreation agencies to facilitate prescribing outdoor time. 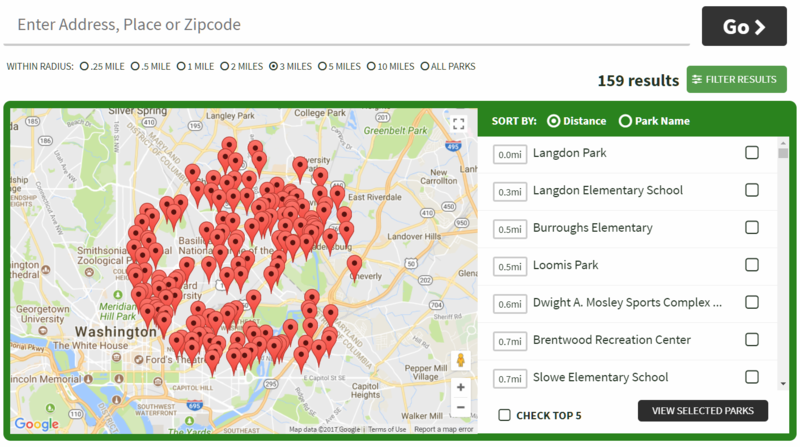 With the support of the local Washington, DC American Academy of Pediatrics Chapter, the National Park Service and the George Washington School of Public Health, Dr. Zarr created a web-hosted database entitled DC Park Rx of over 350 green spaces in the District of Columbia. This database5 is considered the gold standard of Park Rx programs, as it is linked with the Electronic Health Record (EHR) of the clinic and can be customizable to meet the needs of patients. Counties in Maryland and Virginia are slowly adding park information to this comprehension data base which can be linked direction to EHRs. According to the Washington Post, this is the first such tool in the country that allows providers to type a patient’s Zip code into their records and retrieve specially tailored summaries and maps. This allows park prescriptions to be integrated into clinical workflows and enables researchers to collect data regarding park prescriptions.6 The customization can be sorted by location, facilities at each site, and what types of recreational opportunities are present in each site, as well as public transportation routes to get to each facility. In Prince George’s County, Maryland, outside of Washington, DC, 69% of adults do not meet the CDC recommendations for physical activity and the county has higher rates of obesity compared to state averages.7 The Maryland National Park and Planning Commission (MNCPPC), the governmental agency in charge of the parks, has a goal of decreasing obesity by 10% in twenty years. Numerous park-related activities including expansion of bike trails, a senior walking program and yoga in the parks are being promoted by local safety-net clinics to patients. In order to reach the obesity reduction goal, the parks department is working alongside clinicians and information technology teams to integrate park databases into electronic health records. Thinking broadly, as clinicians prescribe time outdoors, patients are being introduced to the beauty of American public spaces, which will hopefully create new stewards and advocates for parks and park lands, eventually leading to numerous environmental benefits for society as a whole. Numerous resources exist to help engage with patients to recommend behaviors to get patients outside and moving. The National Wildlife Federation has numerous resources to facilitate engaging patients in the outdoors. Additionally, the National Environmental Education Foundation (NEEF) has an outdoor activity training module for providers. Park Rx America has several tool kits and other resources on their web site. The growing knowledge that our medical system is not working to curb the obesity tide, combined with the environmental movement, has led to efforts to gain the support of healthcare providers to simply prescribe time outdoors. In many communities, community health workers have the greatest ability to provide culturally and linguistically appropriate education to patients and could be the leaders of a walking groups on neighborhood trails. Starting a Park Rx program can be as basic as becoming familiar with local parks and their resources and bus lines, getting park brochures in waiting rooms, and telling patients about the benefits of outdoor time. Furthermore, the healthcare team can host outdoor events in parks and lead park-activities as part of community outreach efforts and health fairs. In a world of evidenced-based medicine, tracking and documenting the benefits of time outdoors can be challenging. Providers can track the number of Park Prescriptions given to patients and continue to follow benchmarks of weight, Body Mass Index, blood pressure, vitamin D level, Hemoglobin A1C and cholesterol levels on those patients, as well as depression screenings such as the Patient Health Questionaire-9 (PHQ-9) to assess if time outdoors has made an impact on overall health and wellness. Increased functionality of patient portals may be able to capture data about the user experience, including how much time was spent outdoors and what activities where conducted. Increased park utilization around clinic settings may be also noted by Park and Planning agencies when Park Prescriptions are implemented. 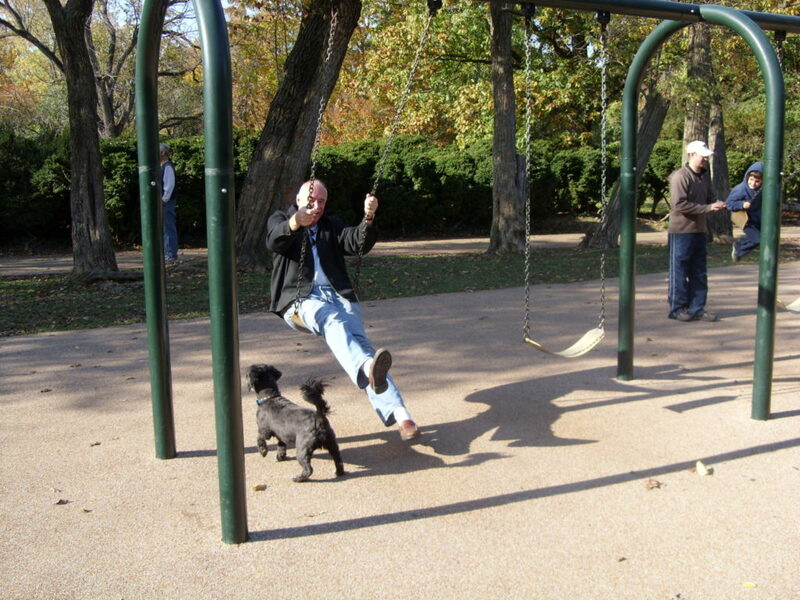 Technologies including social media may be utilized to document where people are spending outdoor time, such as posting a picture of themselves in a park to the agency’s web site. Future research opportunities can also look at the specific factors impeding physical activity including socioeconomic status, proximity to safe outdoor spaces, and culturally and linguistically appropriate park resources including maps and signage. For more information about Park Rx, check out the resources below. The Park Rx America website features an interactive map to connect the community with their local parks and provides additional program information. Park Rx America was recently featured on NBC’s dateline. View the video and read the full story here.